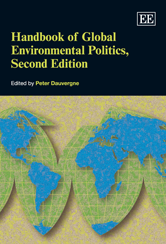 The second edition of this Handbook contains more than 30 new and original articles as well as six essential updates by leading scholars of global environmental politics. This landmark book maps the latest theoretical and empirical research in this energetic and growing field. Captured here are the pioneering and lively debates over concerns for the health of the planet and how they might best be addressed.